120 Days Same as Cash $1033.50 - Style Quality & Vaue. Looking for the perfect blend of decadent comfort and contemporary flair? Feast your eyes on the Accrington 2-piece sectional. Tufted box cushioning and thick pillow top armrests brilliantly merge style and a sumptuous feel. 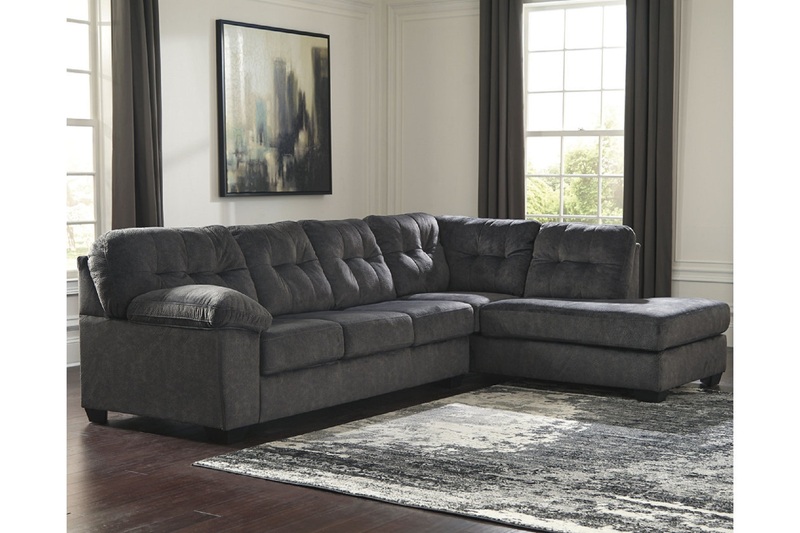 Wonderfully plush to the touch, the sectional’s granite gray fabric is the ultimate choice for a chic, trendy look.